When I saw these in the grocery store, I had no idea what I would do with them. 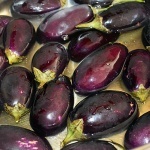 But how could I resist buying these mini eggplants? 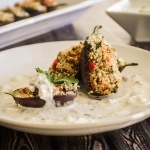 Stuffed with a mushroom herb cous cous and served with a sour cream shallot sauce. 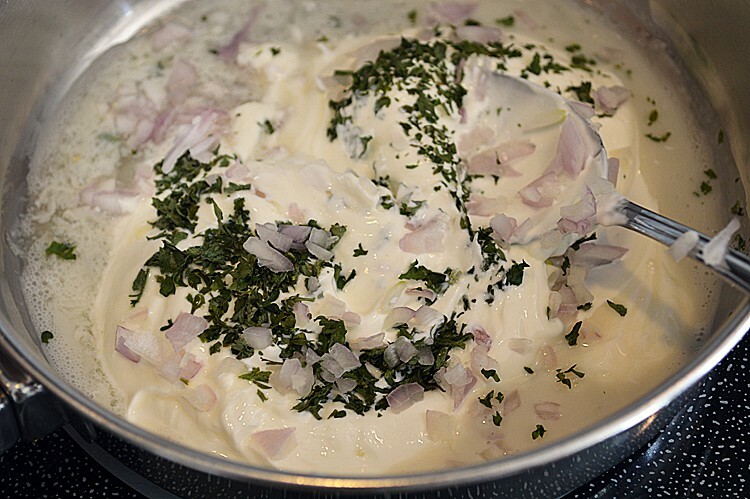 In a large skillet over medium-high heat, bring 1 C of water to a boil. 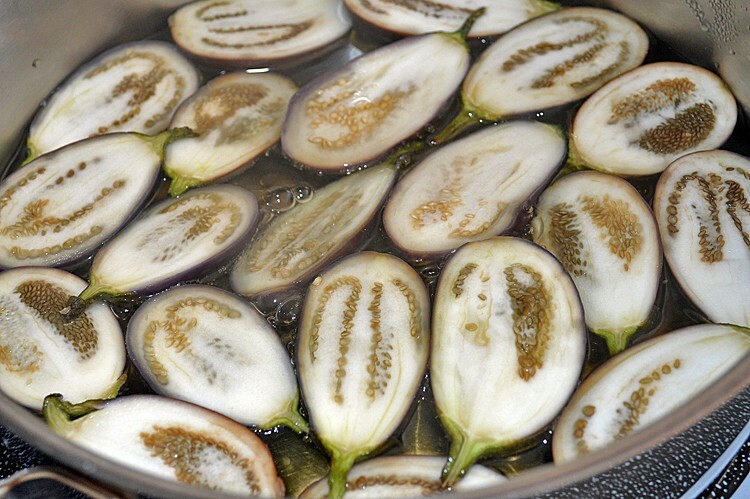 Meanwhile, slice the mini eggplants in half, leaving the stems intact. Reduce the heat to a simmer. 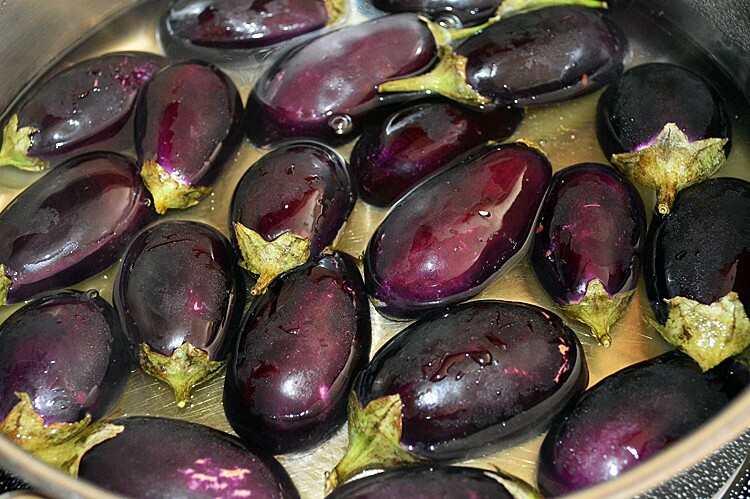 Place the eggplant face down in the water and cook until just soft. 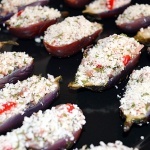 Using a small scoop or melon baller, remove some of the center of the eggplant to accommodate the stuffing. 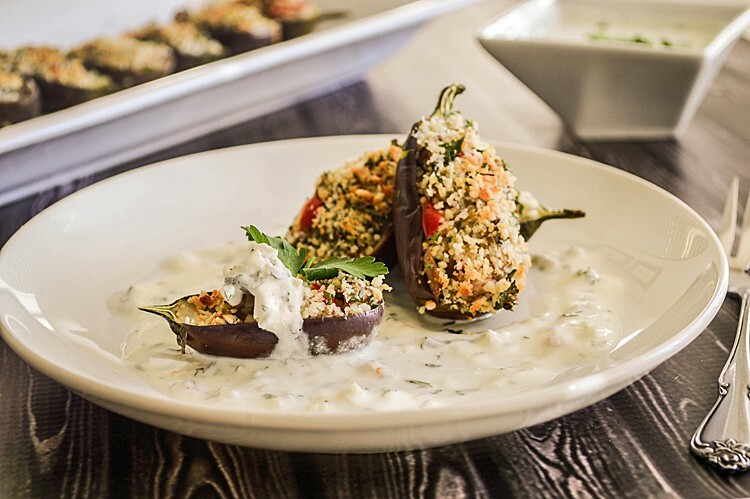 These mini eggplants tend to have a lot of seeds. 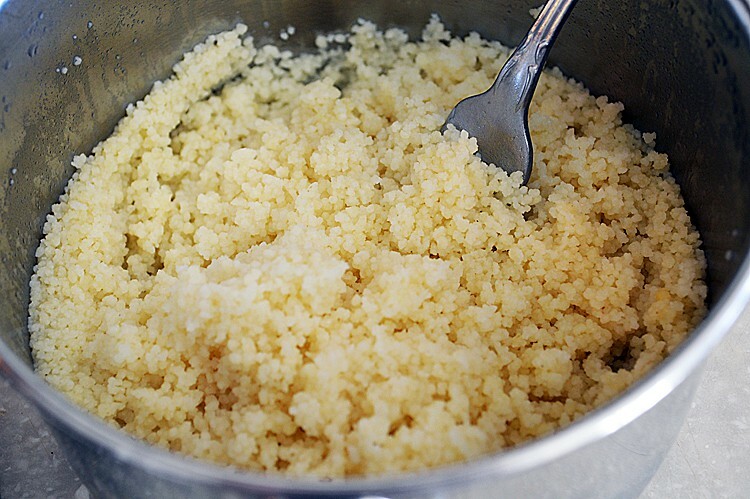 If yours don’t, go ahead and chop those and add to your filling mixture. 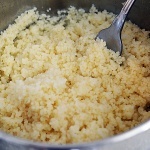 Cook the couscous to the manufacturers instructions. I cook mine with vegetable broth for added flavor. Set aside. 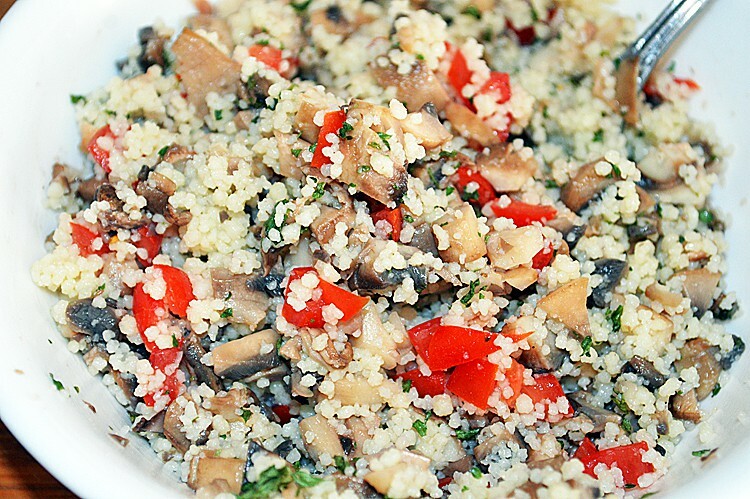 Saute the mushrooms and dice finely. Also dice the tomatos finely. 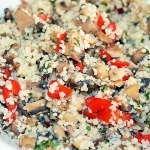 Combine the cooked couscous, mushrooms, tomato, chopped parsley and season with salt and pepper. 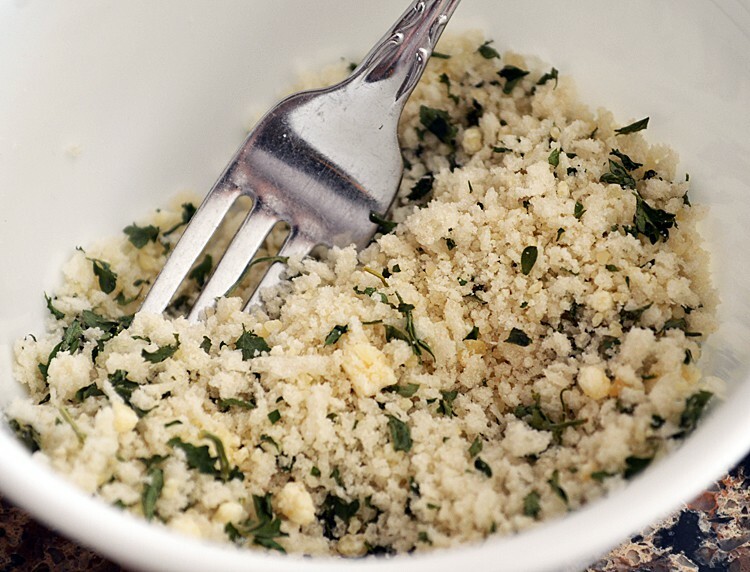 Mix together the panko bread crumbs and vegan parmesan cheese with some parsley. 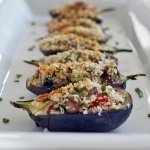 Stuff the eggplant with the couscous mixture and top with the bread crumb mixture. 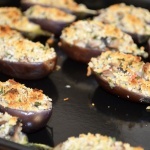 Place under a broiler (or in a toaster oven with a broiler setting) and broil until the breadcrumbs get lightly golden. 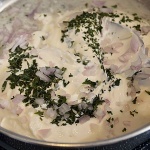 Meanwhile, combine all of the shallot cream ingredients and warm in a small saucepan over medium heat. It should thicken slightly. 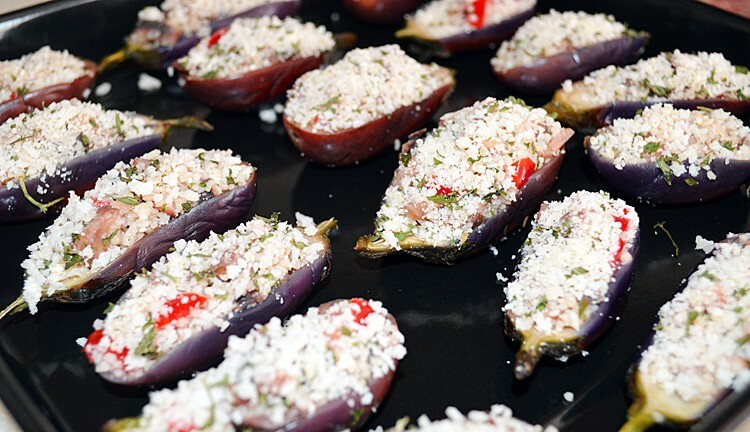 Spoon onto a plate and top with the eggplant. So cute! 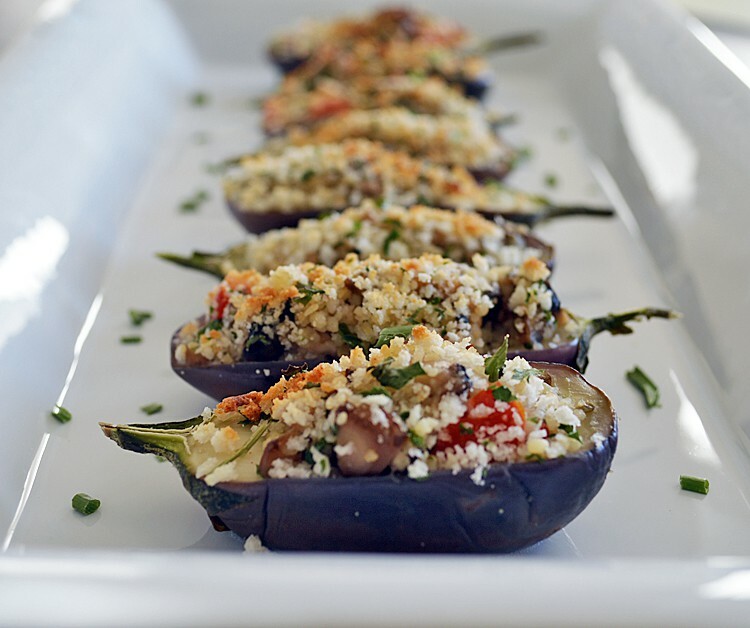 Love baby eggplant! I sautéed chopped onion and two cloves of garlic in evoo, also added a small chopped poblano pepper, a T. capers and a handful of pecorino Romano cheese. 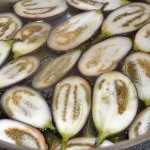 I am growing these baby eggplants for the first time this year, and I came across your recipe . 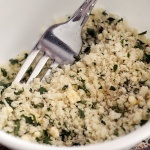 I also grow herbs and used chopped basil,flat leaf parsley,mint and Greek oregano. 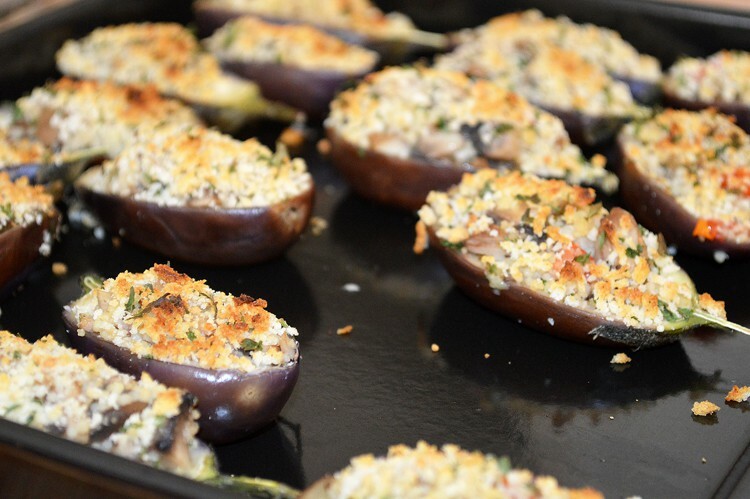 I am refrigerating the scooped out eggplants, (there were too many seeds to use any of the pulp in the stuffing) stuffing, and processed homemade seasoned croutons separately and will take it to our daughters, for the Forth of July, and finish them there.